With exactly one week to go until the BEST Book Day of the year, I hope you're all ready and as excited as I am. There's always so much going on; so much to do and so many activities to get the schools involved with. 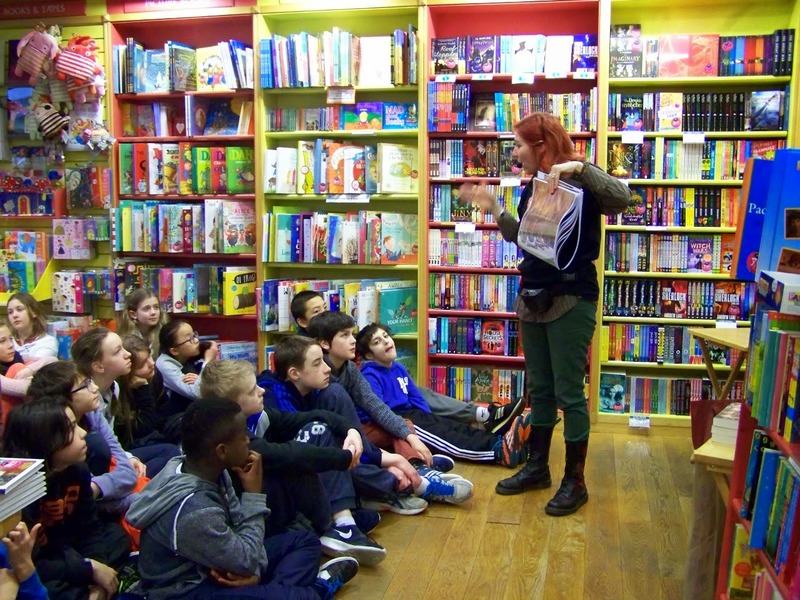 So, I guess it's also time for me to finish up my 'through-the-years' posts of the events, authors, illustrators, storytellers and fantastic school visits that make World Book Day so memorable for me...and for a lot of other people as well. Let the time-travel begin! For the World Book Day Extravaganza 2015, I had to add a couple of days later in the month in order to accommodate everyone! With lots of familiar faces, we all had a fantastic time! March turned out to be a brilliant month. We welcomed Sadie Cramer back, and this time she brought Juliette Saumande with her! 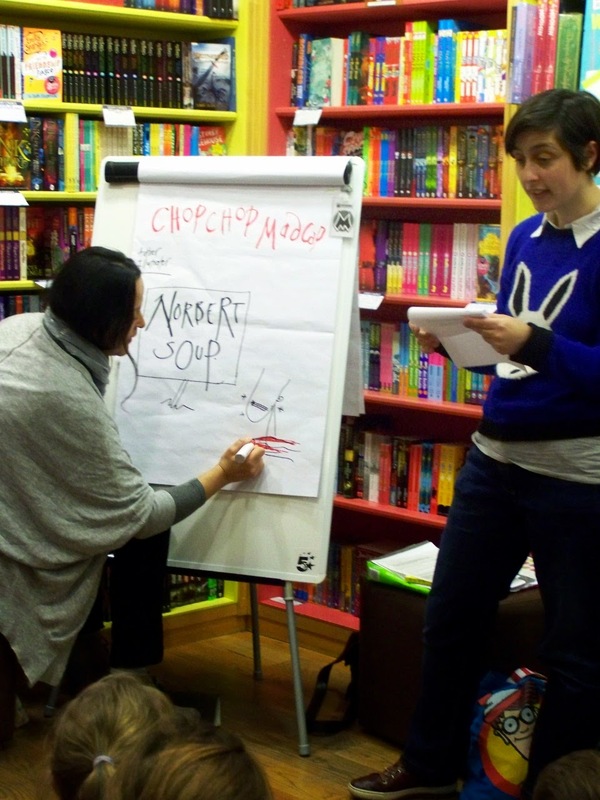 There were readings from their book Chop Chop Mad Cap , talk of where ideas come from, the chractersand their relationships with each other and how pictures are made. Then the kids got to work, drawing their own cat creations! 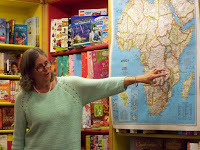 Debbie Thomas came to town and spoke of many things; her life, her books (Dead Hairy, Jungle Tangle and Monkie Business), how she became an author, why she writes the stories she writes, bees, amber and honey. The last three subjects lead very nicely into her (then) upcoming book Class Act, of which Debbie gave us all a sneak preview. 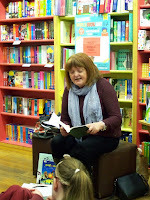 She also read some of the poetry she wrote when she was seven years old! Fabulous! 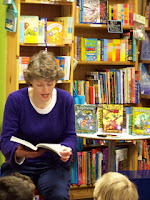 There was much excitement when Marguerite Tonery visited, sharing her wonderful fantasy book, Kapheus Earth. 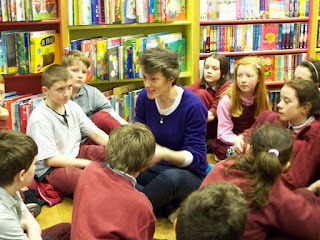 Surrounded by a sea of school children, there was talk of dragons, enchantment, Irish mythology and family life. 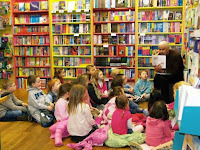 In addition to Marguerite reading, Kapheus was passed around to the kids so they could show off their reading skills and really get submerged into the fantastical world of light, Kapheus. Magic! We simply couldn't miss the chance to have Nicola Pierce come back to us for her first ever presentation of her new book of 2015, Behind The Walls; a brilliant and gripping historical fiction work set during the Siege of Derry. She did recap on her previous books, Spirit of the Titanic and City of Fate (by request from the classes, who wanted to know everything! ), but we were all mesmerised by the story of two brothers in 1688-89 Derry, locked within its' walls. Later that month, Rab Fulton was back to try out some brand new hilarious and scary stories...and they worked just fine. No one knew whether to laugh or hide. So we did both. 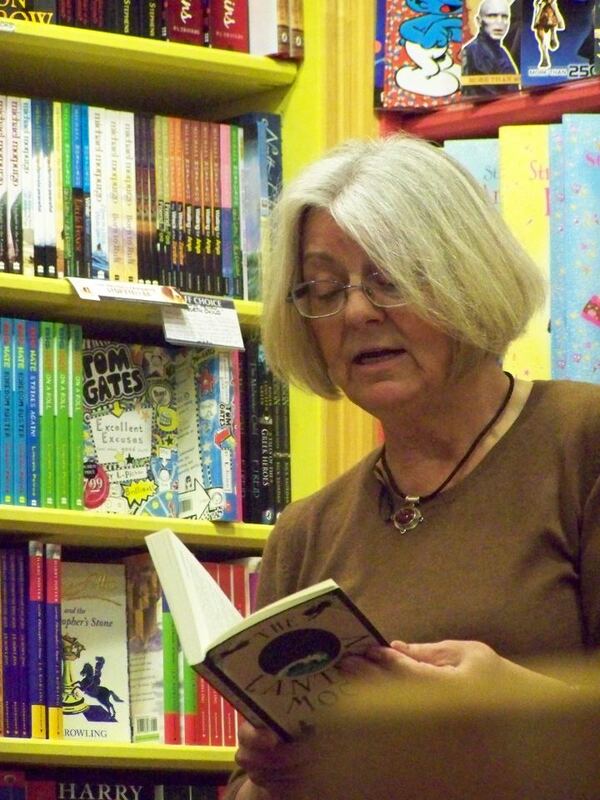 And to finish up what was in danger of becoming World Book Month, Patricia Forde returned once again. 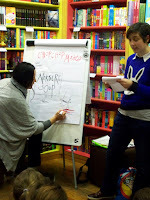 But this time, it was to give us all a little taste of her fabulous new book, The Wordsmith (which was released in May of that year.) What a way to wind-up a month! World Book Day 2016 was a year that saw many old favourites return to share their favourite books, favourite stories, their lives and their writing journey with sooo many school students. 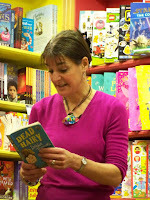 Patricia Forde was back with The Wordsmith; Nicola Pierce was there with more of Behind the Walls and her other fabulous historical fiction novels for young people; Debbie Thomas was back with the insightful and hilarious Class Act. But the memory I really want to share with you; the ones that made it a year I will never forget came about in the most wonderful way. 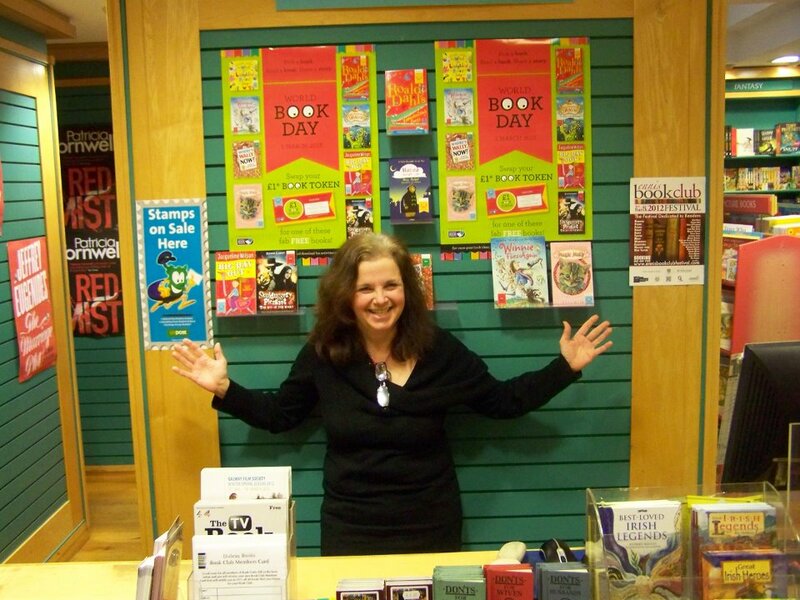 One of my authors had to back out due to medical circumstances just a week before World Book Day 2016. There were three classes that would have no special guest. 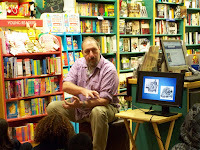 While I am never adverse to stepping in and talking about books and reading to the classes (I always saved space in the schedule so I could do that anyway...), I decided to put out an emergency call to my author/storyteller friends, on the off chance that someone else could step in. I knew it was unlikely and as I suspected, everyone was already booked. Everybody but one. 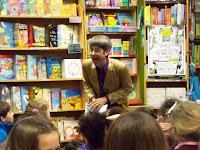 So...it was an unexpected and completely overwhelming delight to welcome Andrew Lane to my World Book Day 2016 Extravaganza! 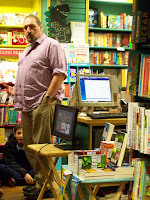 Andrew made the trip from Bournemouth all the way to Galway to read and talk about his amazing Young Sherlock series; especially Knife Edge, in which a teenage Sherlock Holmes, on the way home from the Orient arrives in Galway, only to find his brother Mycroft waiting for him and a murder. Talk about fantastic! Once again, thank you so much, Andrew!!! You saved my voice, my bacon and gave the kids a memory they will treasure for the rest of their lives. You fired the imaginations and made a lot of fans that day. World Book Day 2017 was a more 'low-key' affair than the previous years. 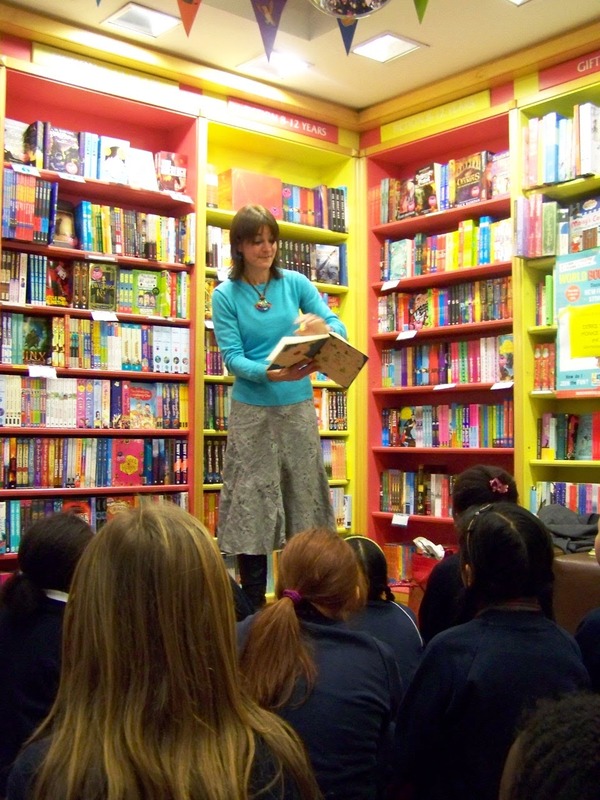 I had moved bookshops and spent more time at schools, holding the events off site. But there were a few in the bookshop that brought a real lively spark to the place. 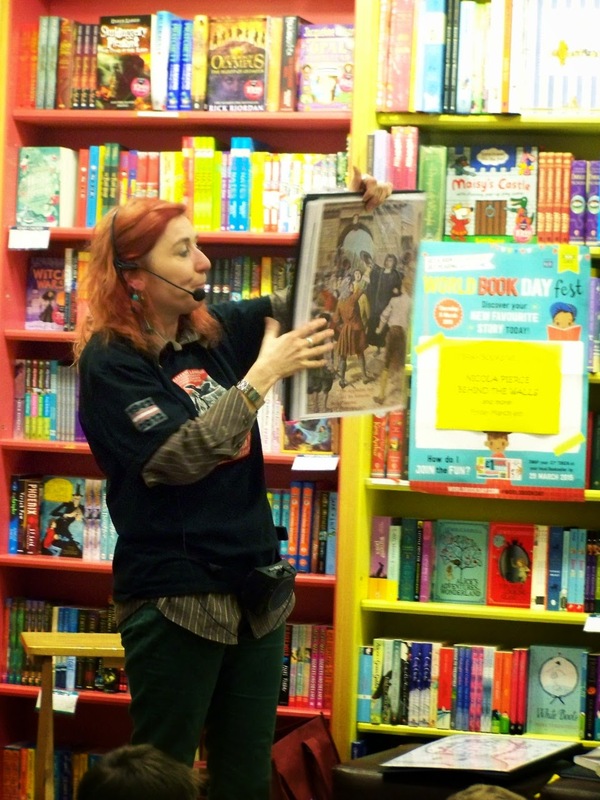 Nicola Pierce graciously followed me over to talk to two local school classes about her just out book, Kings of the Boyne; a follow-up (of sorts) to the previous Behind the Walls, as the two brothers now find themselves at the pivotal Battle of the Boyne. 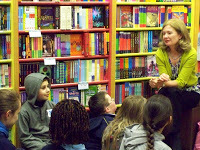 Patricia Forde made another appearance and really got the classes excited about reading, writing, characters and her book, The Wordsmith. Marguerite Tonery was back with more (at the time 3!) tales of Kapheus. That's Kapheus Earth, Kapheus Air and Kapheus Water. Surrounded by children as always, they were held in the palm of her hand! 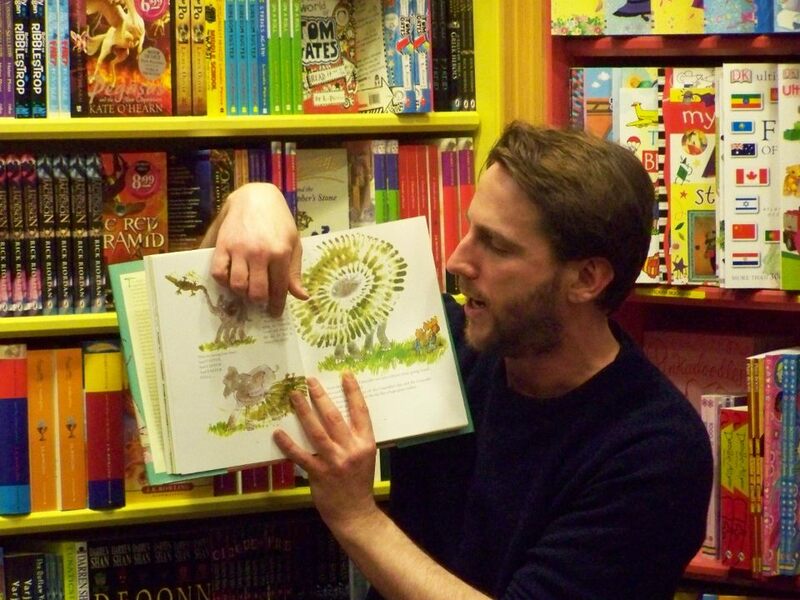 There was a wonderful highlight to WBD2017...a new face; the face of Julian Gough who came along to introduce the kids to his hilarious, thoughtful and insightful books for younger children; Rabbit and Bear. He explained the lives of these two unusual friends, as portrayed in his books Rabbit's Bad Habits and The Pest in the Nest. 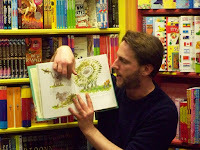 Then, Julian worked with the kids to create their own story, involving a cat-gummy bear stuck inside a crocodiles tummy. Lively and amazing! 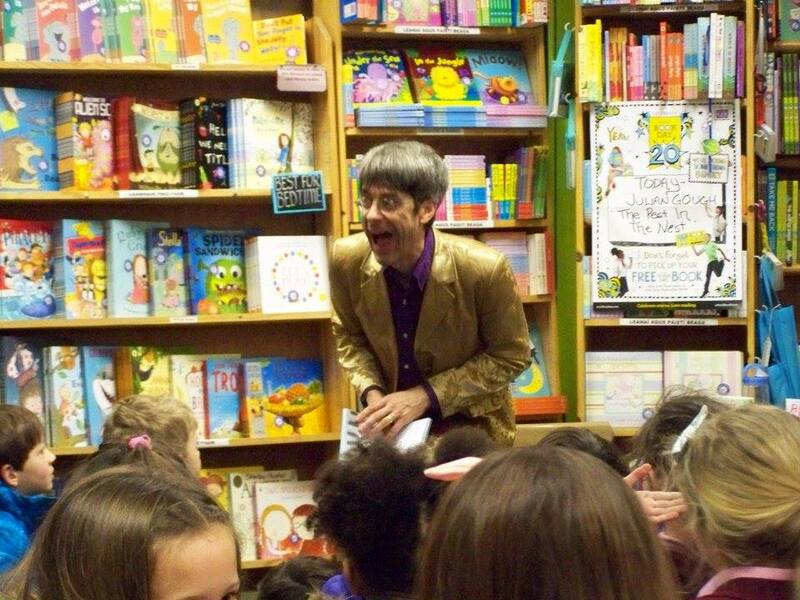 I wish I had some memories of World Book Day 2018 to share with you. But last year was a cold and wintry one and for perhaps the first time ever, we were snowed out! Best laid plans and all that. 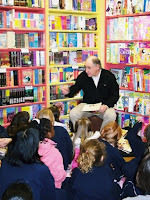 I had hosted a few classes the following week, but as I was the one to read to them and I am the photographer...no photos! That winds up World Book Day Through The Years. And it would seem, February as well. Now, remember...you have one week until the big day rolls round. 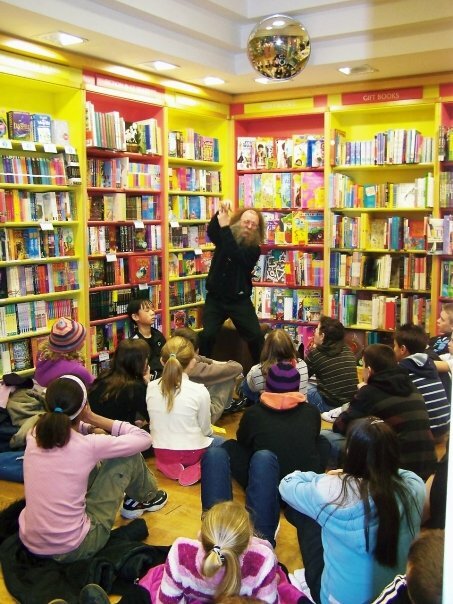 And starting next week, there are events, podcasts and all sorts of activities to help build the excitement about books and reading for pleasure. It really shouldn't just be a 'school' activity or something we do just to learn. Reading is a gift we give ourselves and it's important to start giving that gift early in life. Happy World Book Day 2019, everyone. Tell me, what are you reading? 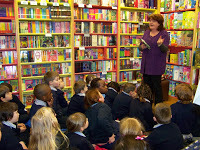 As we inch even closer to World Book Day 2019, here are a few more of my memories of the great times and all the carrying on that I organised for the local school classes. 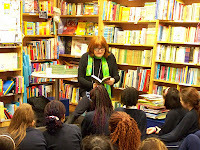 World Book Day 2012 was a very busy year as I welcomed an even bigger crowd of students than previous years, and an even bigger crowd of authors and storytellers to provide the fun and excitement. 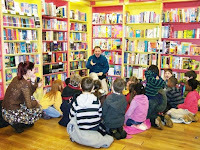 Dubray Books' own Ronan Quinn had the kids wrapped up in a few of his favourite stories from Roald Dahl. Dirty Beasts or Revolting Rhymes, anyone? 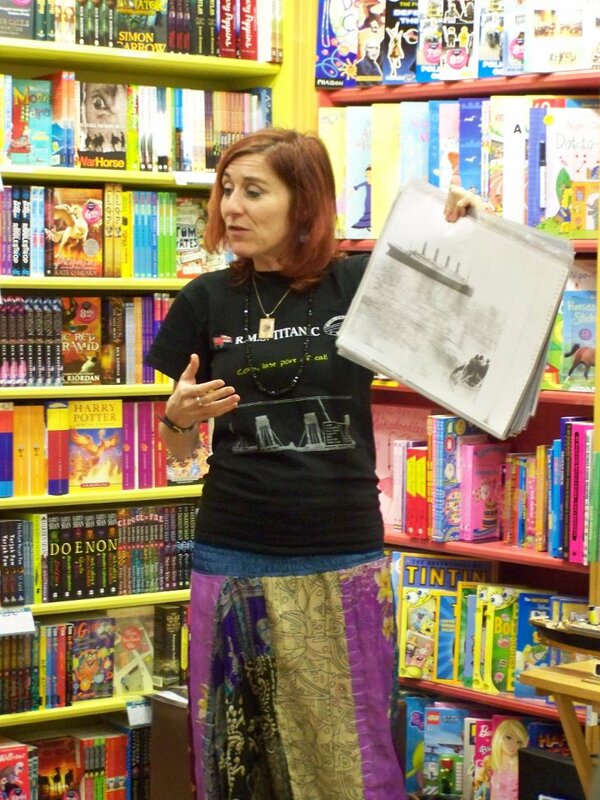 What an incredible treat it was to have Nicola Pierce arrive in Galway to tell us all about her fantastic (then new) book, Spirit of the Titanic! Not only did she read from the book (highly recommended, by the way) but she shared a wealth of information about the Titanics' story and the lives that were irrevocably changed by the doomed ocean liner. Dolores Keaveney made her way from Mullingar to enchant the children with her wonderful picture books about bees and hens. 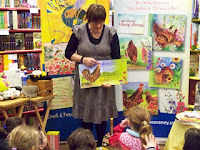 And she also discussed their care and the importance of bees in the environment. 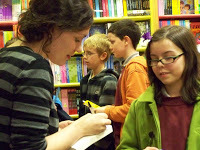 On the final day that week, it was an absolute pleasure and a real joy to welcome the wonderful Maeve Friel to Galway. 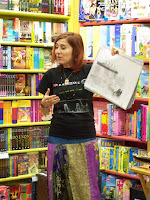 Her books, Tiger Lily, Lantern Moon and Witch in Training were brought to life in events that included such things as an impromptu flying lesson (with a broom, of course.) Maeve has sadly since passed away, but none of us will ever forget that incredible day. 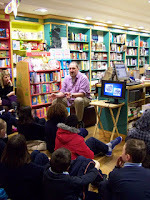 Moving along to World Book Day 2013...another incredible year for events. 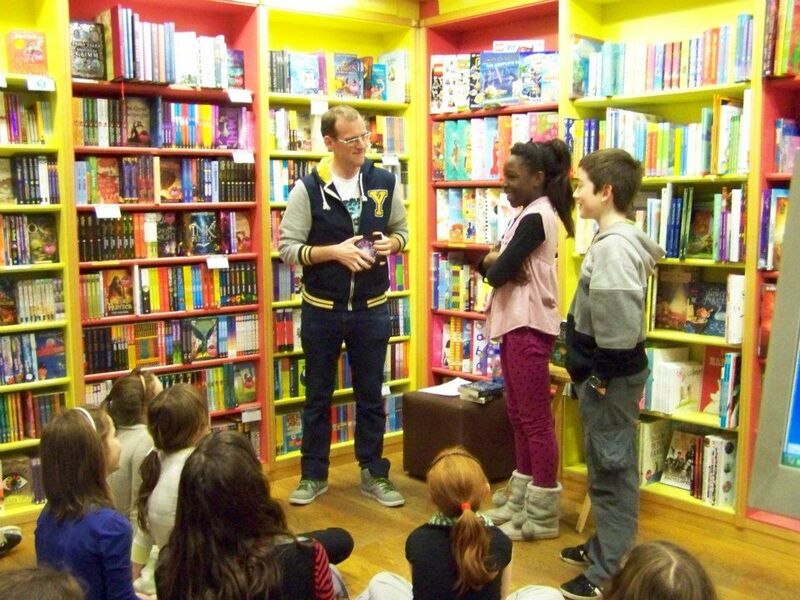 So many children arrived in the bookshop during the week that at one point, I lost count! But I do know they were all amazed, delighted, enthralled and enchanted. 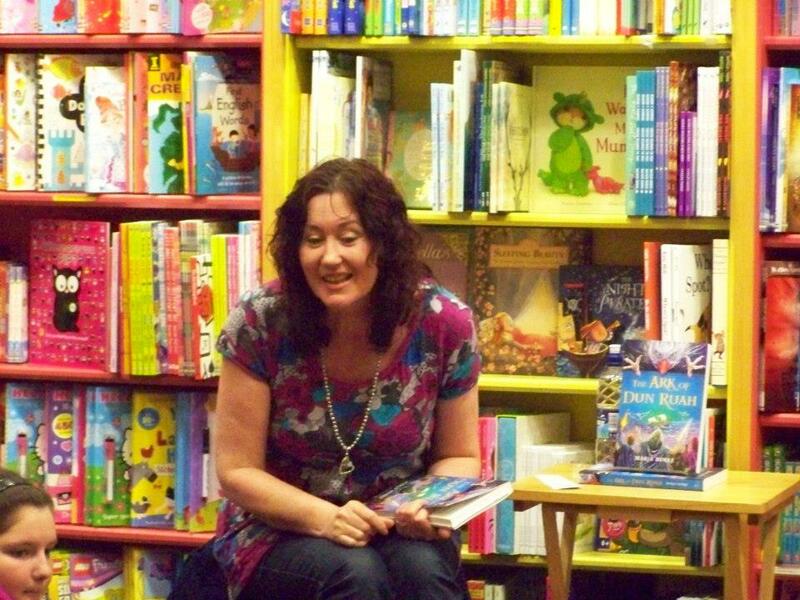 Next up, Maria Burke came to town to regale the kids with readings from The Ark of Dun Ruah and so much fascinating information on eagles, owls and her writing life. 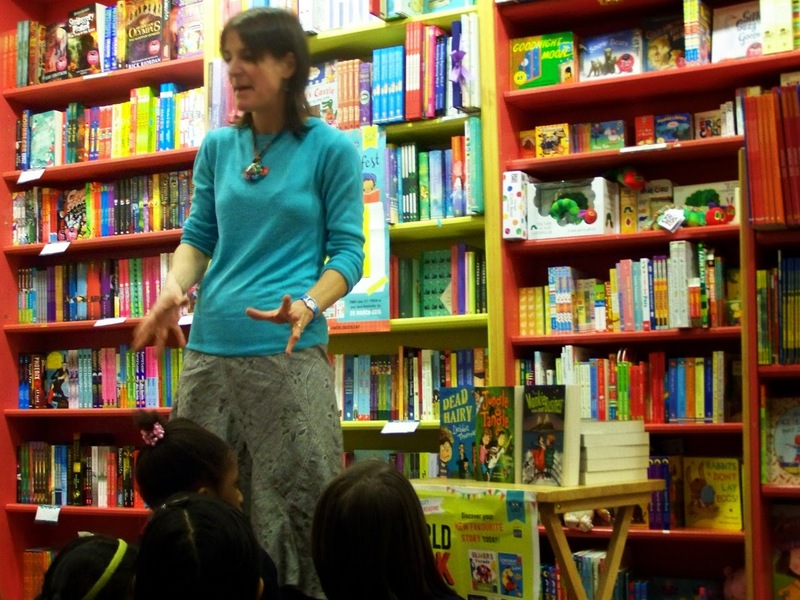 Following Maria, illustrator Sadie Cramer visited two classes and told the about her adventures illustrating Chop, Chop, Mad Cap (author Juliette Saumande). She also involved them all in a workshop, during which they made their own 'secret identity' badges. Fantastic! 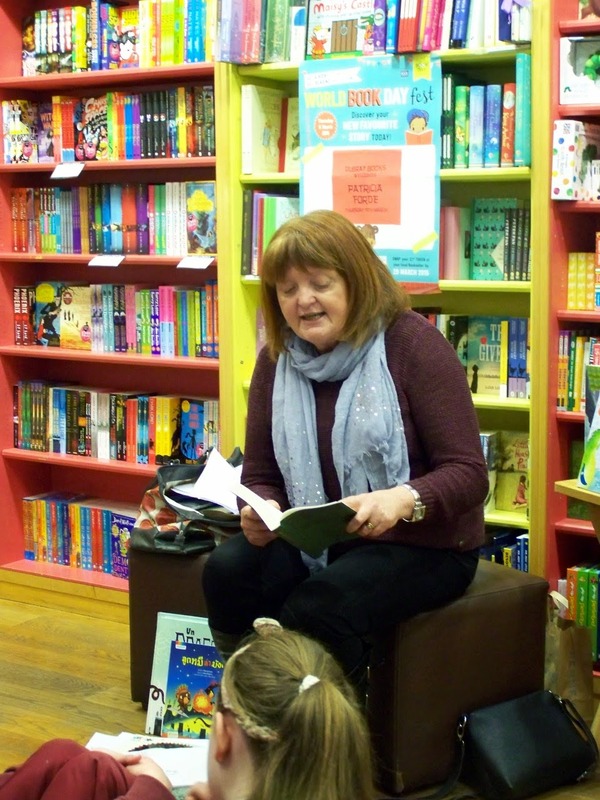 Author Paula Leyden arrived in town on World Book Day itself, armed with readings from her beautiful book, The Butterfly Heart. Paula spoke of many things African; including her life there, the land, the animals, the people, the diversity and the many, many languages. 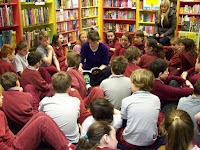 The kids were all enthusiastic and enthralled. On the fifth and final day of this particular World Book Day Extravaganza, we were treated to the talents and imagination of Debbie Thomas. 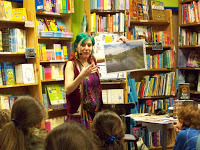 Debbie presented her wonderful, wild and brilliantly funny books, Dead Hairy and Jungle Tangle. 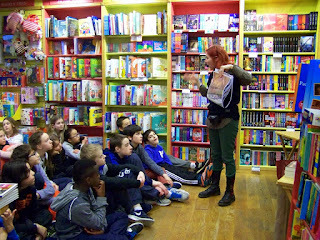 There was much chat about writing, how her books came into being and some fantastic character creation. So much energy and laughter and so much unbridled joy...I didn't want it to end. But now we must time-travel to World Book Day 2014, in which we were re-visited by many of our favourite authors and storytellers.Repeats, yes...but with new stories and books to share and new energy and enthusiasm for reading that was transmitted to every child in the audience! 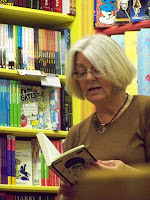 Maria Burke was back again, to read from The Ark of Dun Ruah and its' sequel, Protectors of the Flame. 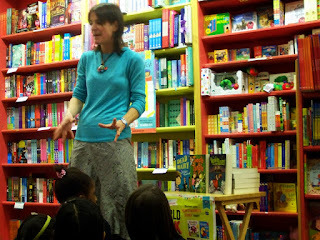 Sadie Cramer was on hand to discuss what a story actually is and how to make them; she even had some of the children stand up and tell their own stories. 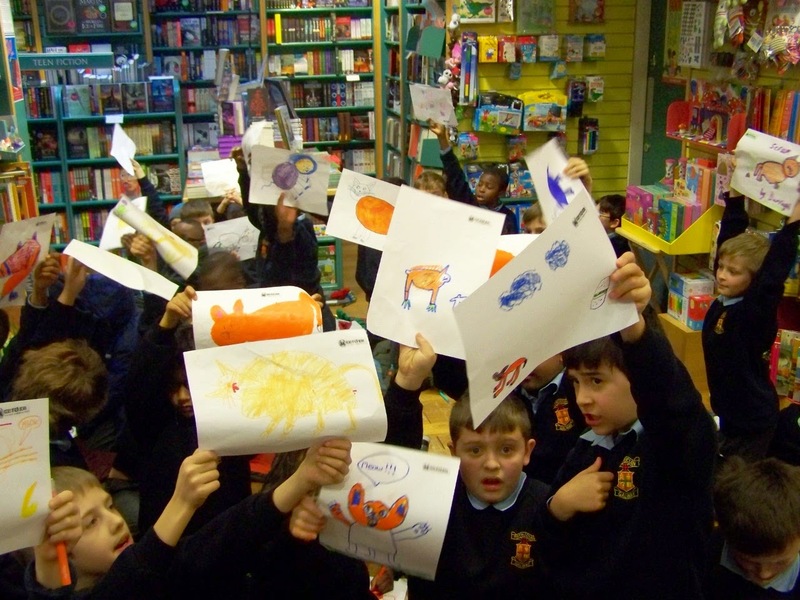 Then, of course there was the big piece of paper rolling out and busy children drawing their stories. Fabulous workshop! 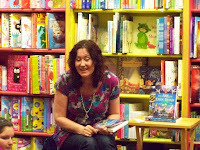 Trish Forde returned and this time gave a very dramatic recounting of an incident that lead to her becoming an author. We were all in stitches with laughter. 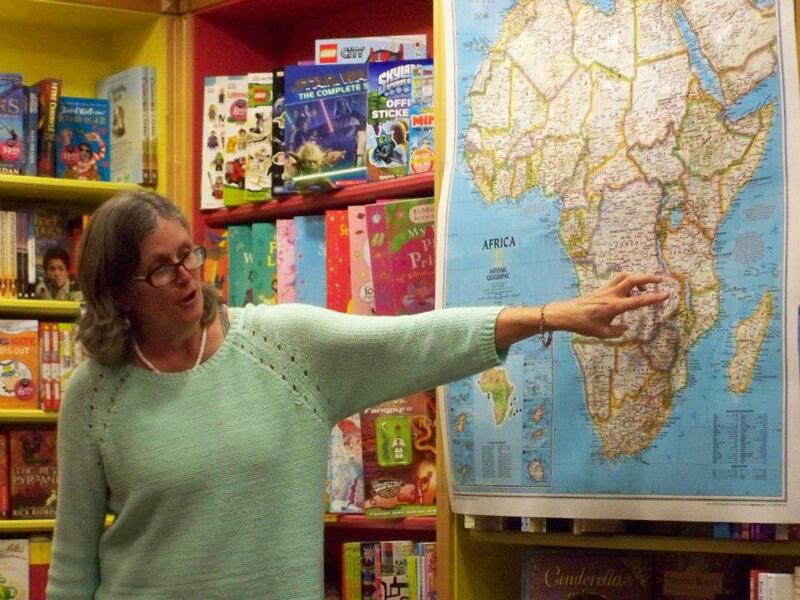 Paula Leyden returned to tell us even more about Africa and her book The Butterfly Heart. 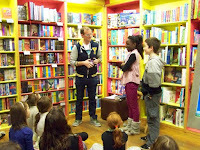 But there was more in store for the captive audiences with her new release, The Sleeping Baobab Tree. But tell me, are you sure you're World Book Day ready? Have you all received your World Books Day tokens? These tokens will entitle each and every child who has one to a World Book Day Book of their choice. 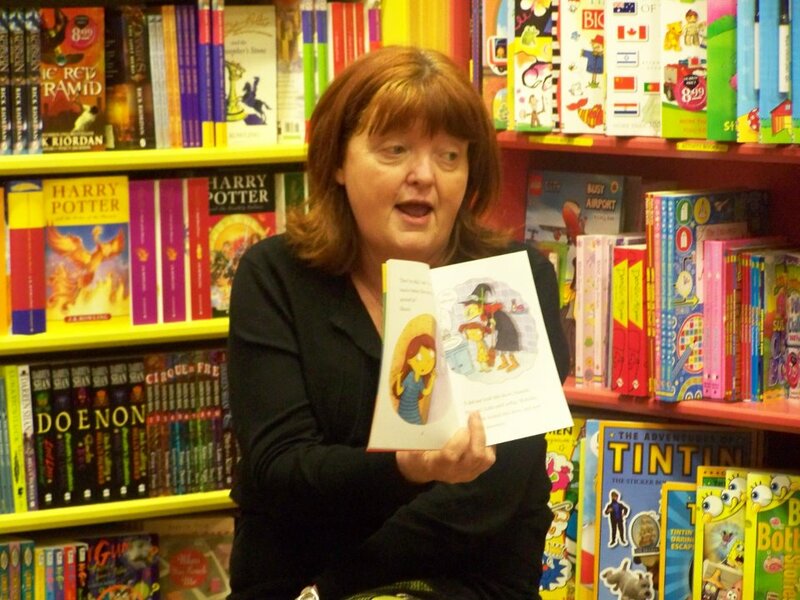 It's so important for children to have the chance to choose their own books, to own their own books. And these World Book Day books that are published especially for World Book Day go a long way to ensure that happens. 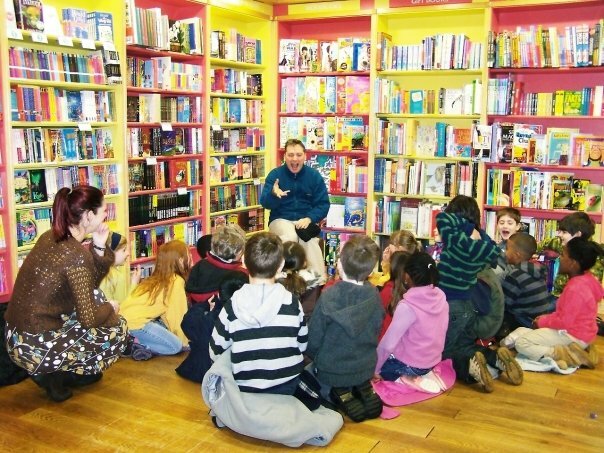 Sadly, it has been my experience over the years that World Book Day is often the only chance some children have to own a book; to actually go into a bookshop and buy a book. The WBD tokens are worth the exact cost of one the the WBD books (£1 or €1.50 in Ireland)...so they are essentially, getting a book for free. Check out the website to find out more. 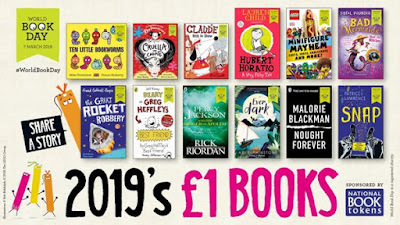 World Book Day 2019 is on it's way! 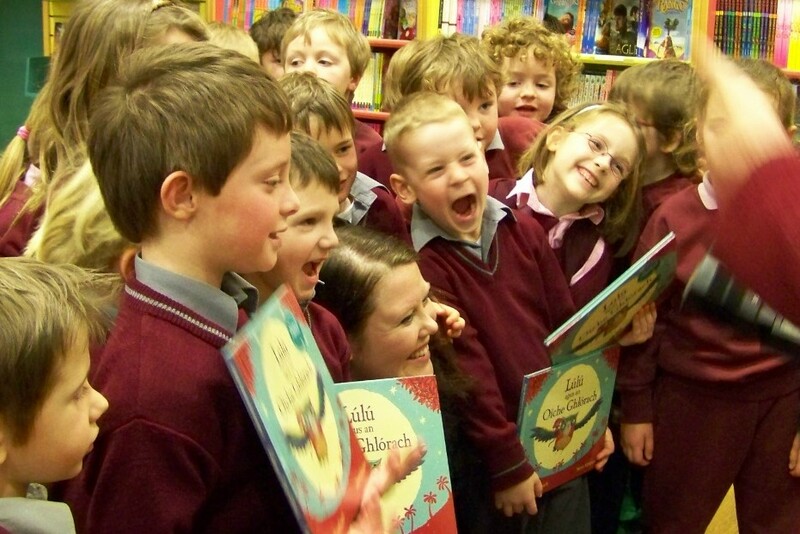 In just over a week, it will be time to celebrate the joy and excitement to be found in reading for pleasure and all the authors and illustrators that are working to bring the gift of books into the lives of children (of all ages) everywhere. 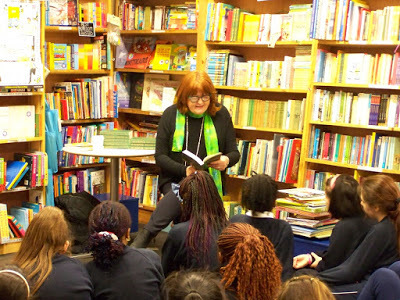 Over the years the years that I have been involved with World Book Day, I cannot express the amount of happiness this day (well...week really; I always celebrated all week.) that I have felt. 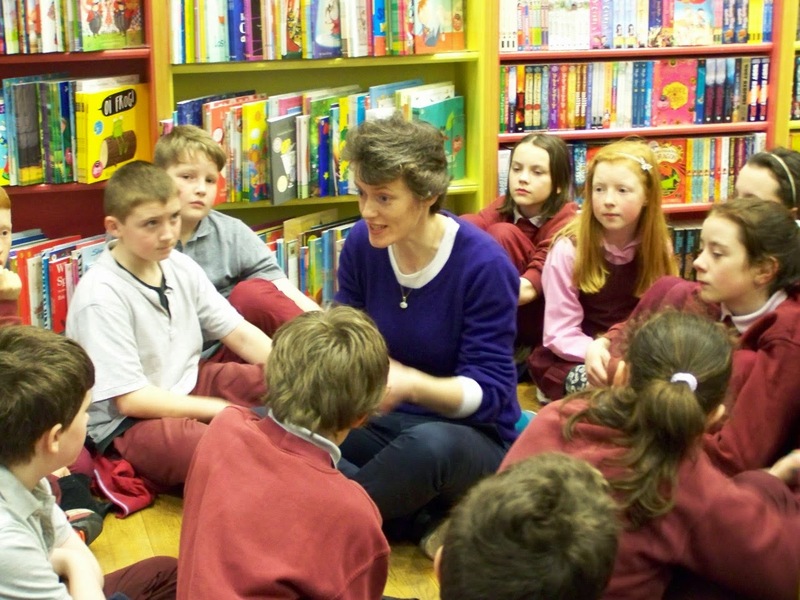 Inviting school classes in to meet authors who have generously made the trip to Galway and given children a memory that will stick with them throughout their lives has been a highlight of each year. 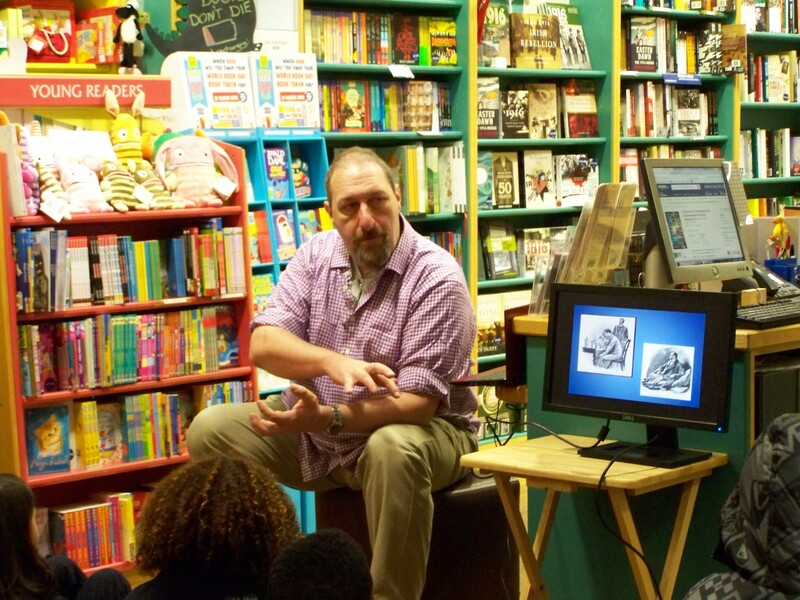 And the opportunity it gave me to share my love of childrens' books with so many children...sometimes as many as 650 a year!...talking to them about books, reading to them and listening to what they have to say about the best (and worst) books they've read has been, and continues to be amazing. 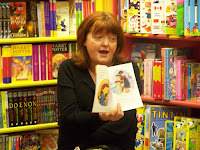 So before I go further, thank you so very much to the children, the teachers, the authors and illustrators...and to Dubray Books Galway; all of whom tolerated and supported me in this incredible indulgence. But I did manage to drag Matthew, then manager of Dubray Books Galway, out of his office to share a story with some young book fans...and he was marvelous! 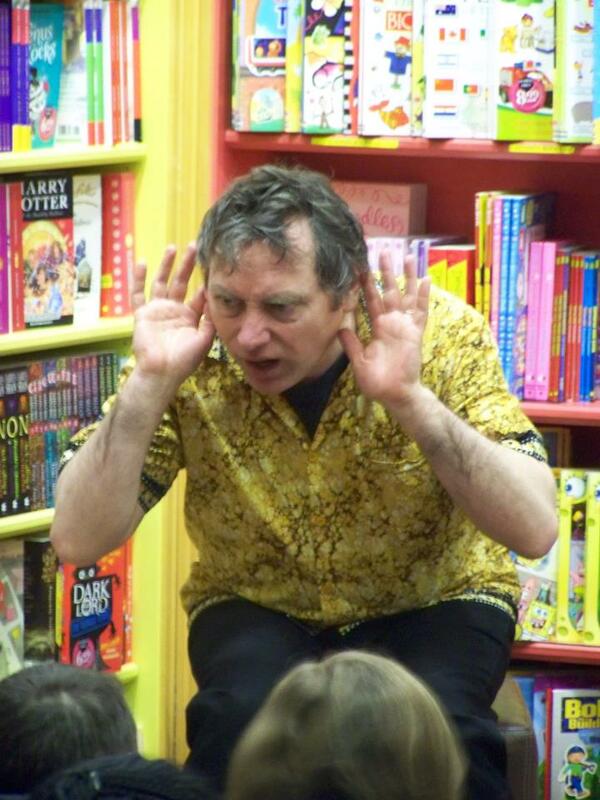 Our favourite Galway storyteller, Rab Fulton came along to scare the beejeesus out of some of the kids. They jumped, laughed and were completely enthralled by Rabs' Scary Tales from long ago. 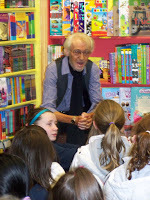 Local poet, singer, and then teacher Ger Hanberry was always a big hit with the school children, reading to them and engaging them in lively conversation...drawing the creative side out of each one. But the highlight of 2009 had to be when we were joined by the incomparable Eddie Lenihan, famed Irish storyteller and author who had the kids in the palm of his hand with his stories of encounters with the Good Folk...all true, I assure you! 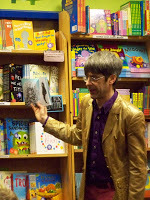 World Book Day 2010 was a great year, with my World Book Day Extravaganza picking up steam. Trish Forde made a stellar appearance that year, telling the (hilarious) stories about how she became an author...and reading from a few of her wonderful books. 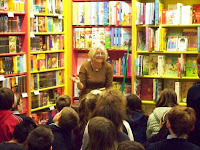 Judi Curtin generously gave her time and energy, discussing all about her books, her publishing adventures and her life. 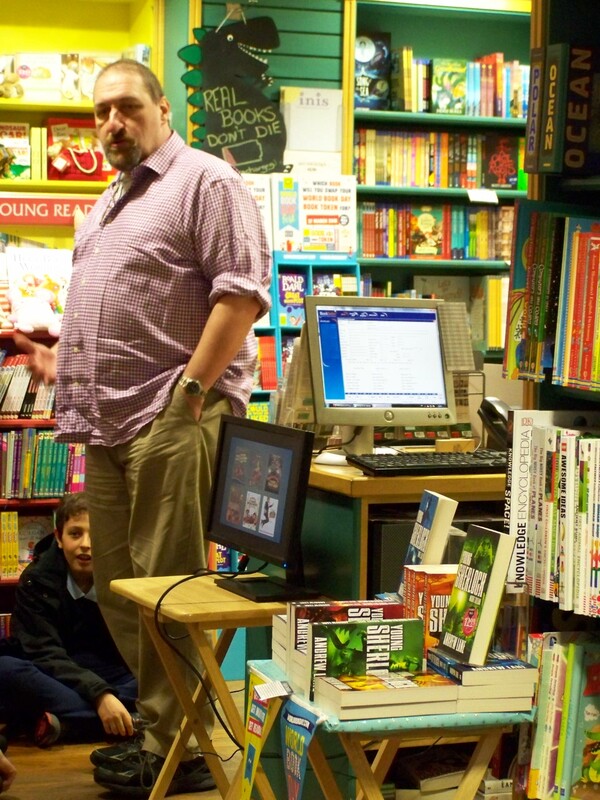 And you know it's a very special event indeed when the one and only Ken Bruen (and no, he did not read from his noir crime novels) came to visit. 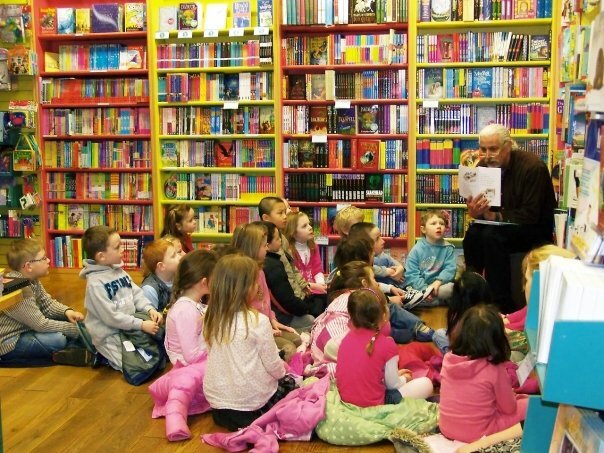 The kids just thought he was magic! For World Book Day 2011, there was a two day visit from the wonderful Sarah Webb...she was as lovely, engaging and brilliant as you might imagine and the girls from a number of local schools were star-struck as she explained everything about Amy Green. Deirde Sullivan was a real treat; talking about her new book, Prim Improper, working with 'Annie Graves' on those creepy Nightmare Club stories and cover designs for books. 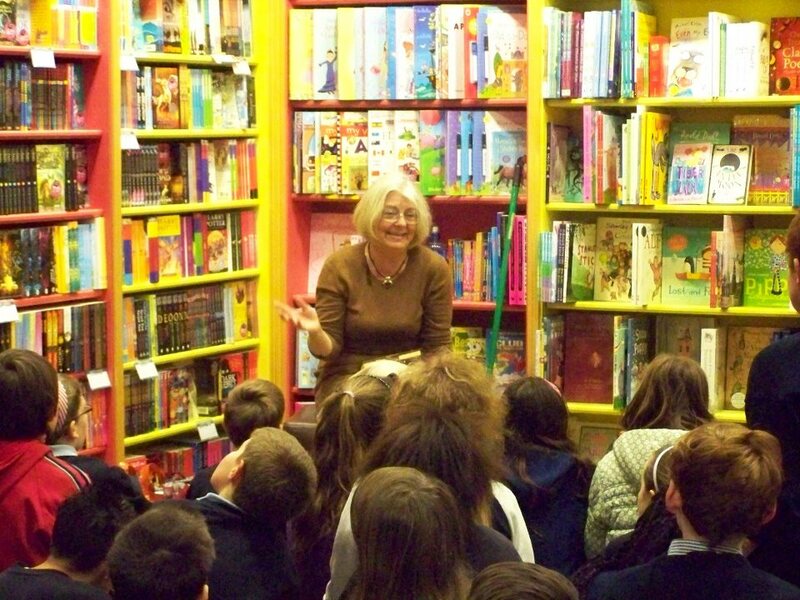 Deirdre is always a complete delight for everyone she meets. 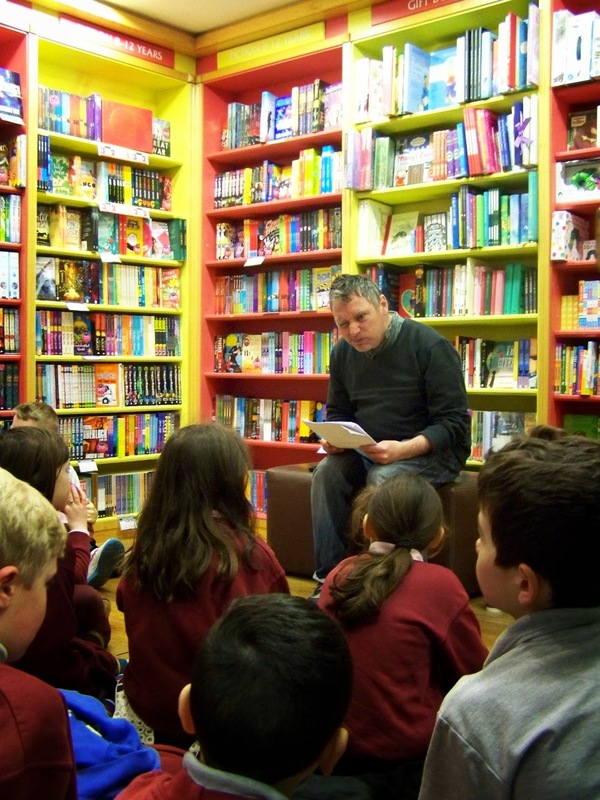 Immediately after the madness of World Book Day, we also celebrated Seachtain na Gaeilge! 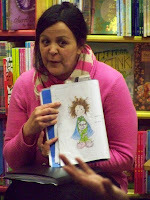 A visit from Bridget Bhreathnacht saw the launch of her beautiful picture book as gaeilge, Lulu agus an Oiche Ghlorach! 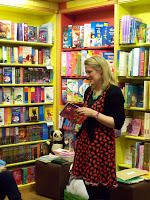 She even raffled off a copy of the book to one very lucky and extremely pleased winner. It was loud, busy, happy and all in Irish! We're going to leave part one now, but watch this space...more good times coming. Are you ready for World Book Day? 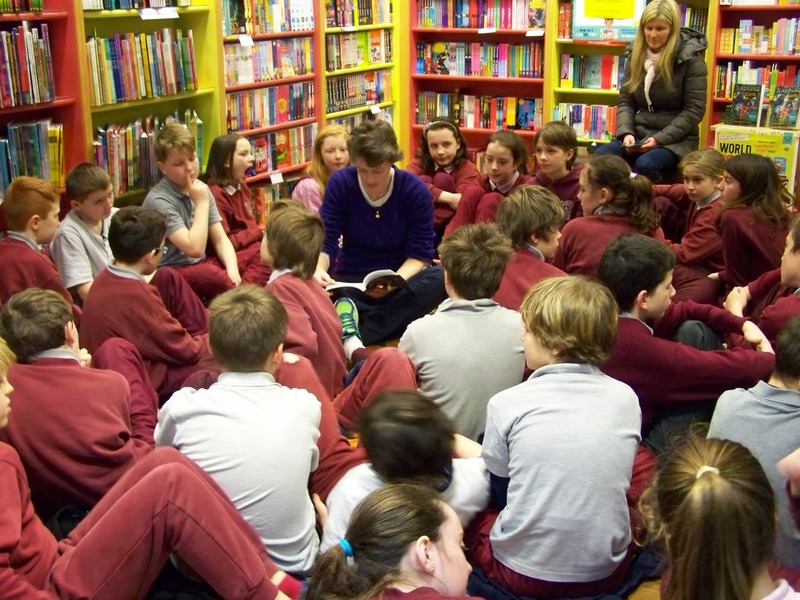 Pop over to the website to find out how you can bring the joy of reading and books to the lives of young people in your world and to find out what's in store in your local area. There's loads to do!